This age of software development requires many skilled professionals to test and ensure high-quality standards. Every company is spending a large amount of their software budget on quality assurance of software. This is made possible by thoroughly testing the software. Software testing is complicated. The job of a software testing engineer is to ensure high-quality software is delivered by the team. As a beginner, you may learn software testing by reading some good software testing books and online tutorials mentioned in this article. Though books and tutorials can help you learn basics, they will not be able to solve all your work life problems. When you become a software tester, you will need to test buggy software that may keep you up all night long trying to determine exactly what is wrong. The biggest issues that you’ll run across, you won't be able to solve on your own. Thankfully, there are a lot of websites, Test Automation Tools and Best Practices that will help you learn software testing and answer many of the questions you may have in your job. This page contains some really useful and practical tips that will make your life easier as a web application tester. Most of the suggestions on this page are applicable to all web applications. This can be used as a checklist for web app testing. One of the best software testing websites out there. This website has tutorials, training, interview questions and in-depth knowledge on how to become the best software tester possible. A blog that aims to teach you about testing. Straight from Google testers, you’ll find updated news and techniques on how to properly debug software. The perfect website that goes through the basics all the way up to advanced information on software testing. This blog is brought to you by James Bach - one of the best software testers out there. A massive resource that is perfect for the testing community. You’ll learn insider tips from a master software tester, and listen to approaches from one of the industry’s best. 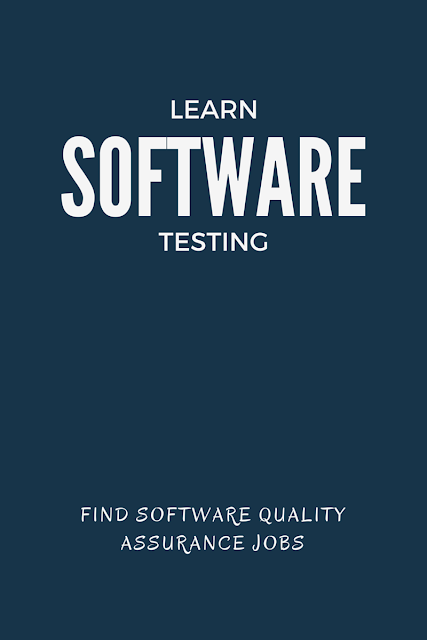 uTest is one of the best software testing websites in the world. You’ll be able to take a variety of courses from experts in the field for absolutely free. Technically, this is an online magazine. While you will need to be a member, registration is free, and the information is invaluable. Grig brings years of experience in the field and has hundreds of posts on software testing dating back to 2004. A site that is meant for every level of software testing. You’ll find several answers to the most pertinent questions here. If you’re looking for in-depth training, James Bach and Michael Bolton have created a full course that you can download in PDF format. This is a great primer and advanced course, and you’ll also be able to look at various different blog postings and articles on the site about rapid software testing. Lisa is a coach and practitioner of software testing. She focuses on agile testing, and even offers training and coaching through her website. You’ll be able to look at various different publications that she offers, as well as gain insight from one of the industry’s most prominent figures. Elizabeth Hendrickson runs this website. While I would love for the site to be updated more often, it does have a ton of information on software testing. Elizabeth is also the writer of several books, and she is a well-known figure in the industry. Quirky words put perfectly together to teach people about software testing. You’ll gain a lot insight from this blog, but don’t expect it to be a primer by any means. The content here is geared towards people who are already in the industry. A blog that I can't get enough of. You’ll learn the basics, but you’ll also learn through real-world examples that will help you become a better software tester. Right in the blog’s tagline, they state “refinements on the art of software testing.” You’ll learn several different techniques on how to master software testing, such as the value of merely imagining a test and how it works in the field. Offering insight into different areas of testing and QA management. This blog is filled with valuable information as well as testing information and even a sample demo from the company. Joe Strazzere talks about quality assurance, software testing and dozens of other topics. He even provides tools, templates and other valuable assets that every software tester needs to succeed. Marlena likes to write about writing code, testing, and coding. The author will discuss many concepts in length, and she's written a very interesting article on going from a tester to a developer, as well as dozens of other articles that are considered must-reads in the industry. Formerly trishkhoo.com, this blog includes everything from scaling your testing systems to books to read, and how to solve random failures that occur during testing. An excellent website that is no longer updated, but goes into great detail on advanced testing options. While this blog may not have been updated since 2013, it still provides a lot of valuable information for software testers. Providing consistent information since 2008, this blog is brought to you by a Mozilla engineer and discusses how testing works in real-world environments. You'll also find many great discussions as well as book recommendations on the website. Hope you find this list useful. Did we miss on a useful website? Please share with us in comments. This article is contributed by Helen Evans and Ashley Albert. Helen Evans, Marketing manager of JobTonic, has been in the career development field for 5 years. She likes to share interesting tips to help people find their dream job. Her goal is to share what she has learned about searching job. Dream job is closer than you imagine! Ashley Albert is a senior web and software development writer. She works at Essay Writing Help - EssayMania. She has thorough knowledge about software that she often shares in her articles with her readers. You can also follow her at different social networks like Facebook, Twitter and G+.